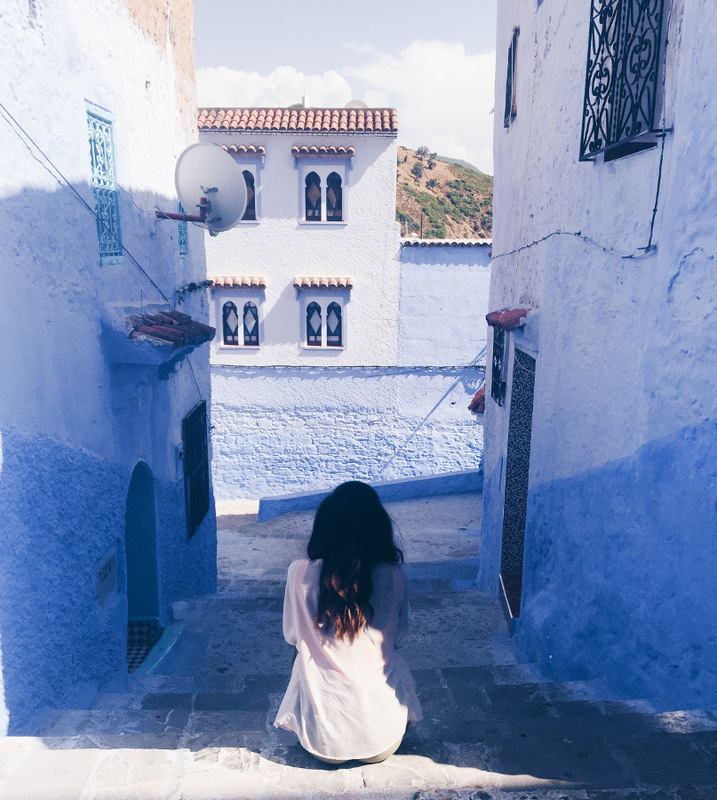 The mix of cultural influences, the beauty of the North Atlantic Ocean and the Mediterranean Sea and the landscape, the splendid blue color of Chefchaouen, all of these (and more) make Morocco a wonderful country to visit. This article presents you what you need to know before traveling to Morocco in order to have an amazing experience. These things to know before traveling to Morocco are presented by Jewels Rhode from travelJewels. Having a sensational experience is almost guaranteed while visiting Morocco. Its diverse landscapes and intricately designed architecture will leave you enamored. The smell and taste of its flavorful food, and hearing the call to prayer no matter where you are in the country will leave you physically and spiritually full. Moroccan Culture is a lovely melting pot of Arab, Berber, European, and African people/culture. This confluence of cultures is reflected in everything from food to architectural designs. The main languages spoken in Morocco are Arabic, Berber, and French. However, some Moroccans do speak English. I suggest learning a few basic Arabic phrases. Some key phrases are As-Salaam-Alaikum (“Peace be unto you”), to which people would respond Wa-Alaikum-Salaam (“And unto you Peace”). Another useful word to know is shukraan (“thank you”). 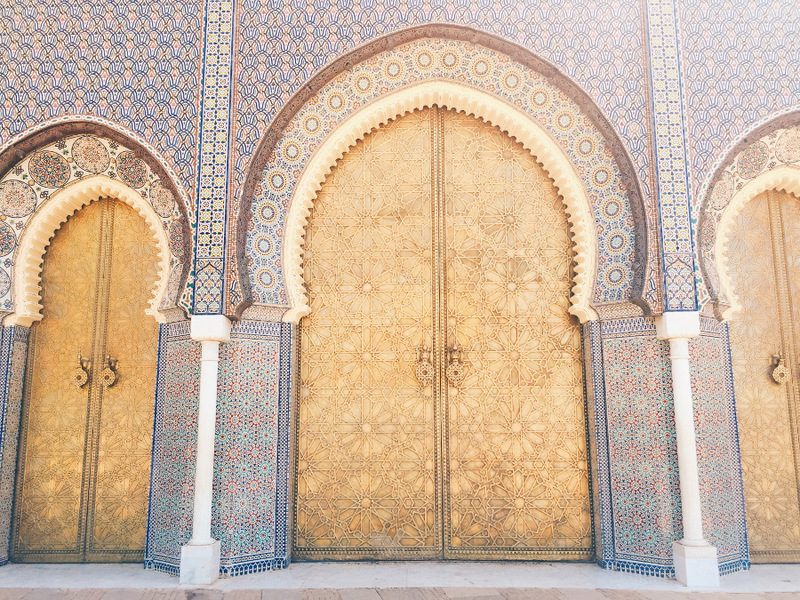 Morocco is a predominantly Muslim country where modesty of all aspects of life is important. If you travel during Ramadan, a holy month of fasting, know that it may impact your trip minimally. Alcohol is hard to come by in Morocco, but it’s virtually non-existent during Ramadan. As mentioned earlier, you will here the call to prayer (adhān) multiple times throughout the day through a loudspeaker. 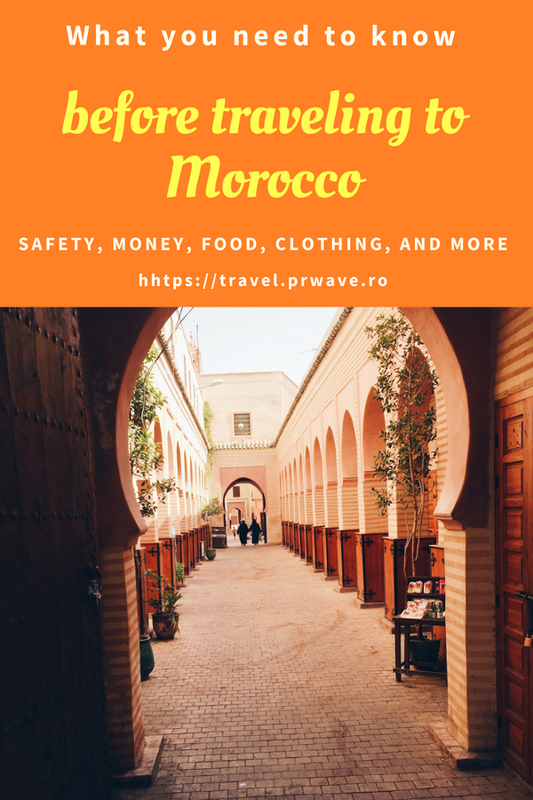 Moving forward with this list of 13 things to know before you travel to Morocco is that it is recommended to cover your shoulders, knees, mid-drift, and avoid low-cut tops especially while in the medina and rural areas. This can be done easily through incorporating layers and light-weight breathable clothing into your vacation wardrobe. This suggestion isn’t about men policing women’s attire. The suggestion is about showing respect to the Muslim religion. Medinas are old parts of a city found in Morocco and other North African countries. Its narrow streets are filled with fountains, mosques, palaces, shops, and residential homes. They are urban car-free zones, as there is no space for cars to drive. Instead you will find a lot of donkeys transporting goods. The old medina in Fes is the largest surviving medieval city in the world. It has about 10,000 alleys and over 20 entrances and exits, as you can imagine getting lost in the old medina is inevitable. 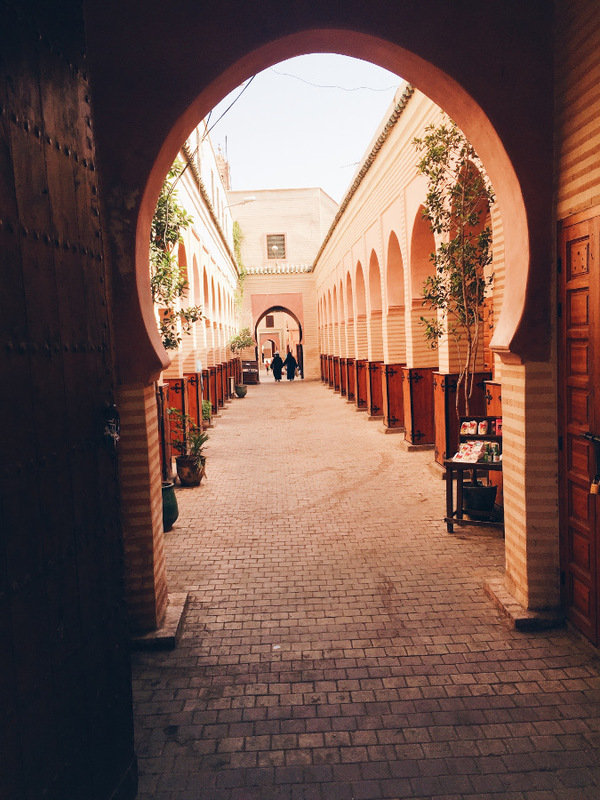 What you need to know when traveling to Morocco is that there is so much rich history within the walls of the medina that it is worth having a local tour guide show you around. 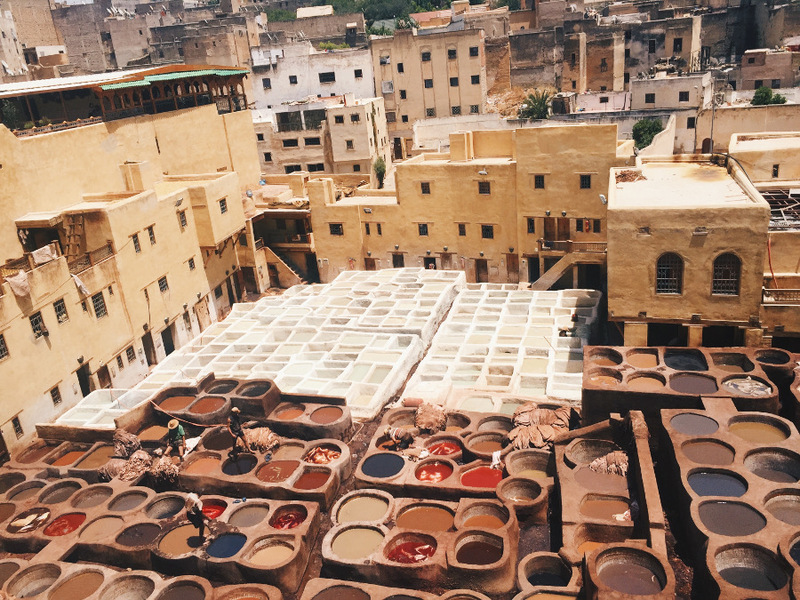 A tour guide will give you a better appreciation of the medina’s beauty. Riads are traditional Moroccan houses with interior courtyards mostly located in the heart of the medina. They have incredible architectural and decorative details including stunning tile work. 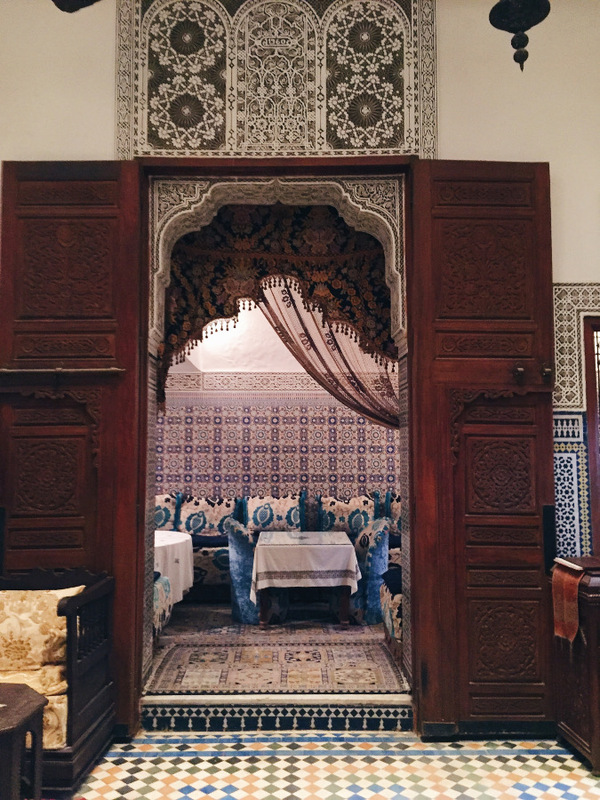 Even the budget riads will make you feel like royalty! Riads are the best place to stay for an authentic Moroccan experience – thus making its way on this list of things to know before you travel to Morocco. 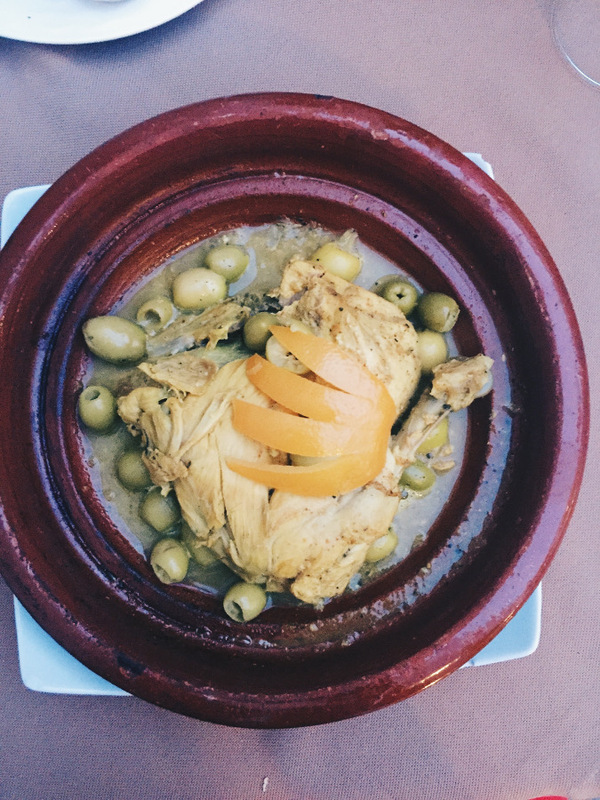 Also, they are some of the best places to eat a delectable Moroccan meal. You should withdraw money to convert prior to your arrival in Morocco. The majority of ATMs allow you to take out 2,000 Dirhams (or $200) max. You will only be allowed to do this twice before the ATM machine blocks your debit/credit card. Plan to have Moroccan Dirhams with you because most places do not accept debit/credit cards. Morocco has as an exceptional train network that will transport you to the majority of the major cities in the country. You will have a choice of buying two types of tickets – first class and second class. There are 6 people to a compartment in first class and 8 people to a compartment in second class. There is wifi at the train stations, but not on the train. Moroccan food is boldly flavored. Lunch and dinner are typically least 3 courses. The first course includes bread and olives or salad, second course is main entree (I highly recommend trying Tajine and couscous), and the third course is typically a fruit platter or cake for dessert. Traditional Moroccan breakfast includes fresh breads with jam and honey paired with fresh orange juice and/or tea. 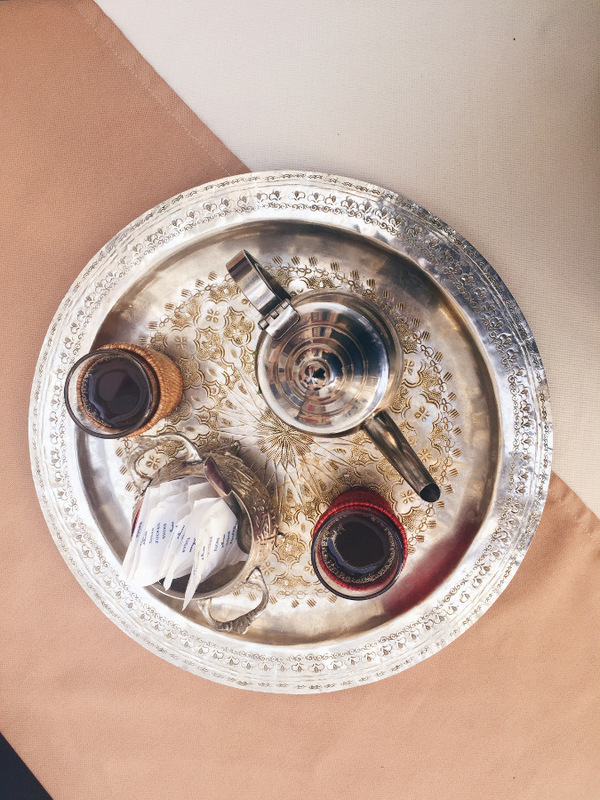 Drinking mint tea is a huge part of Moroccan living. 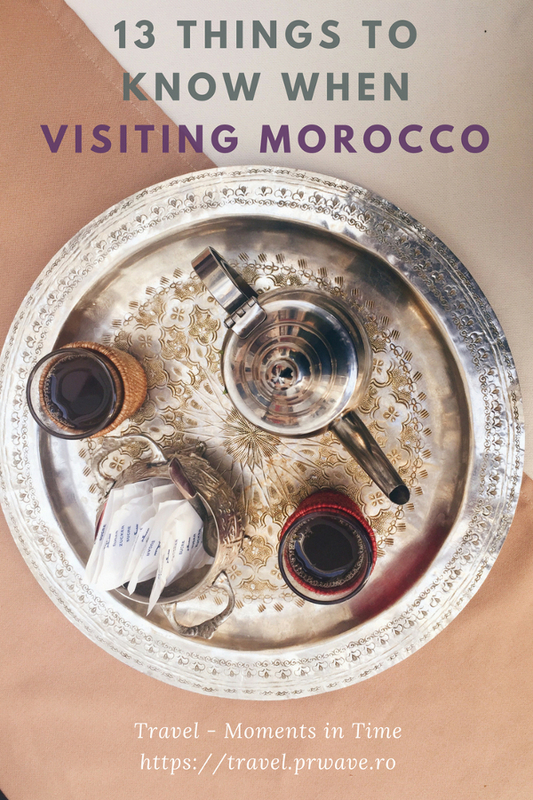 While in Morocco you will receive many invitations to drink mint tea. The tea is brewed with fresh mint and tons of sugar. Although Morocco is known for it’s blazing temperatures, there are a number of areas in the country that get cold, especially at night. The temperatures vary widely by the region. Check the weather before your trip and pack appropriately. There are an abundance of amazing authentic souvenirs to bring back home from Morocco. Some popular items are hand-woven rugs, ceramic goods, and leather goods. 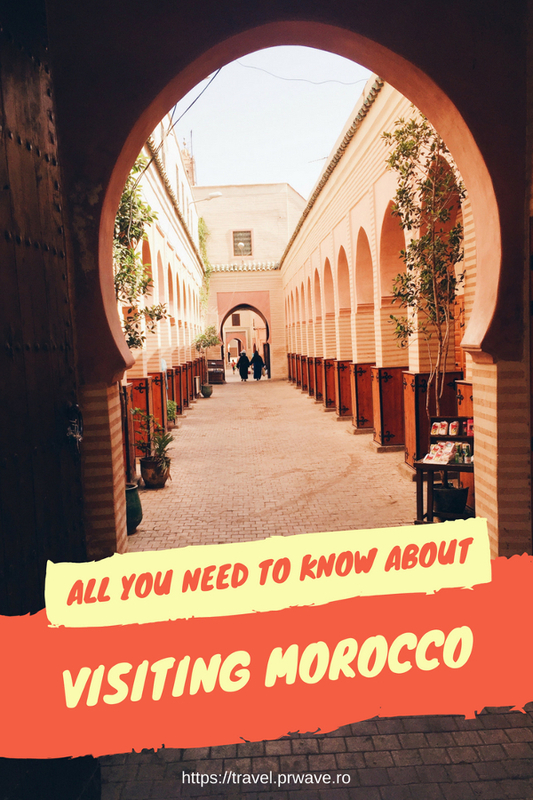 What you need to know before traveling to Morocco is to never accept the first price you are offered and don’t be afraid to negotiate (it is actually expected). Many people will question the safety of Morocco for female travelers. So here are some useful safety tips for Morocco, part of what you need to know before you visit Morocco. For the most part, harassment from men will never go past low-level ( i.e catcalls). There are a few things you can do to maintain your safety and comfort. First, don’t take directions from anyone who comes up to you to “help” you. This is a common scam done by younger boys. If this happens say, non merci or la shukran (‘no thank you’), which is way more effective than responding with aggression (which could be reciprocated). If you find yourself needing directions go inside a shop and ask or go up to a woman. Moroccans hold on very strong to the idea of ‘respect’. If you someone is harassing you, say Hashouma! (‘shame!’) which will embarrass the harasser. Also, never wander alone at night. Have you ever been to Morocco? What are some things you would add to this list? Jewels is a public health professional and world adventurer. 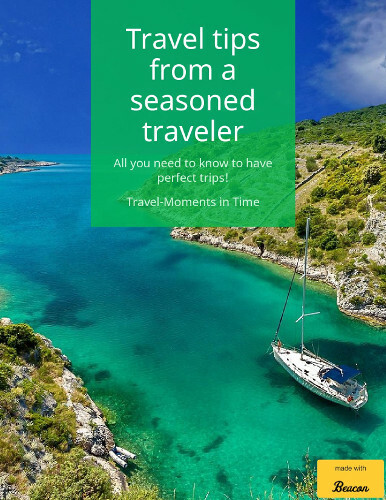 She documents her journey of living a full and intentional life through travel on her blog travelJewels. Follow her on instagram and Facebook as well. Learning at least a few words in the native tongue is always the way to go Lori. No brainer I say. Folks try to experience places but lose connections because they refuse to spend 10 seconds repeating a few phrases to self. Locals seem to connect with me quickly because I can say Hi or Thank You or greet folks warmly in their language. Gotta do it. Rocking tips! This is one place that is definitely on my list of places to visit, but I just haven’t made it there yet! It looks so colorful and people I’ve talked to have said it has a great energy. You’ve just inspired me to research flight prices!